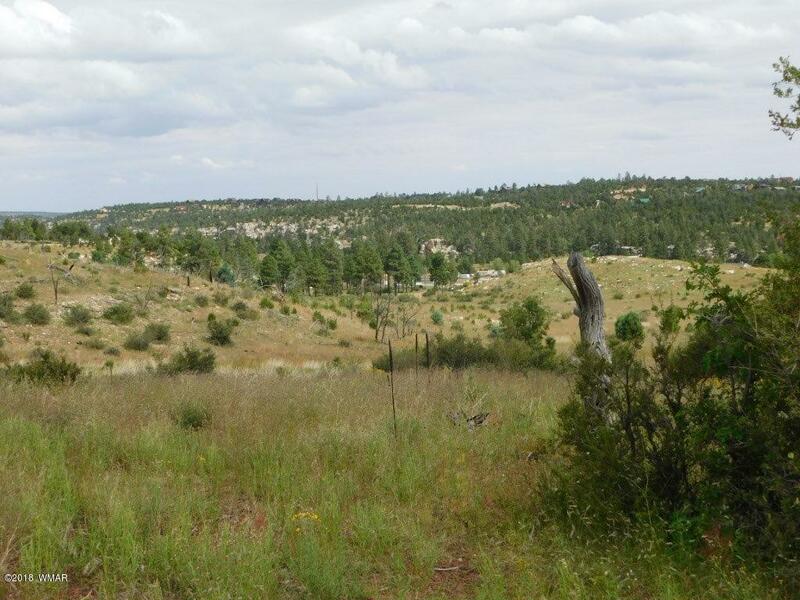 Panoramic views from this 1.25 acre home site in Buckskin Artists Community. Site built homes only subdivision with power, water and septic already installed on maintained roads. The trees were lost in the Rodeo-Chediski fire, but you can plant more as the HOA dues of $325.00/yr includes water! Fantastic views from this gently sloping parcel and very near national forest too. Easy access year round. Don't wait as it is priced right.